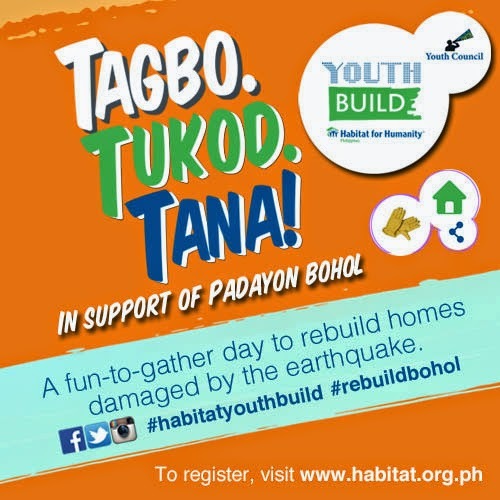 Thousands of Youth Gather for Habitat Youth Build 2014 “Tagbo. Tukod. Tana!” - Hello! Welcome to my blog! On May 3, over 5,000 youth will converge at this year’s Habitat for Humanity “Youth Build”, happening simultaneously in five key provinces in the country. These youth makes a commitment to help rebuild homes across calamity-stricken areas in the Philippines. They say that this year’s Youth Build is expected to be one of the biggest youth gatherings in the country. Beginning May 3, young volunteers will sweat it out as they get their gloves, hard hats, and shovels ready to begin the construction of Habitat houses in earthquake-hit areas in Bohol, and Yolanda-affected communities in Cebu, Davao, Cagayan de Oro, and Naga. After Typhoon Yolanda (Haiyan) destroyed parts of the country in November last year, Habitat launched its “Re-Build PH” campaign with a target to rebuild 30,000 houses. This year’s Youth Build aims to rally the youth to do their share to meet this target. “Rebuilding the Philippines is everyone’s responsibility. This time, we want to gather our youth and tap into their passion and energy to help get the job done while at the same time serving as role models to the younger generation,” shares Charlie Ayco, Habitat for Humanity Philippine’s CEO and Managing Director. Since the build-sites are mostly around the Visayas region, this year’s theme was taken from the local Visayan dialect-- “Tagbo. Tukod. Tana!” (Let’s gather. Let’s build. Let’s do it.) It hopes to speak more urgently to the Visayan youth to rise to the challenge of helping their own neighbors, friends, and kababayans rebuild their own communities by taking part in the Youth Build. “For us to be able to truly move forward from the horrors of the earthquake and typhoon, we need to work hand-in-hand as one community-- the progress of one is the progress of all. We encourage the Boholanos to help their kababayans, because by doing so they are helping the entire province,” Ayco adds. 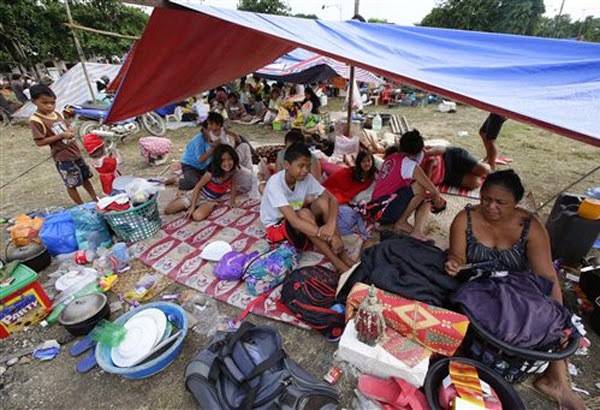 In October last year, a magnitude 7.2 earthquake rocked parts of Bohol leaving houses in shambles and families homeless. The Youth Build targets to rebuild 7,000 homes in 16 municipalities across the province providing decent shelter to families still living in tents and make-shift houses. To kick-off festivities in Bohol on May 3, a motorcade of celebrity youth supporters will take place in the morning leading all the way to the Habitat site in Loon, Bohol where Habitat’s Youth Council will begin the initial build. To cap the day, a youth concert open to the public will be staged to further urge the Boholano youth to respond to the call. 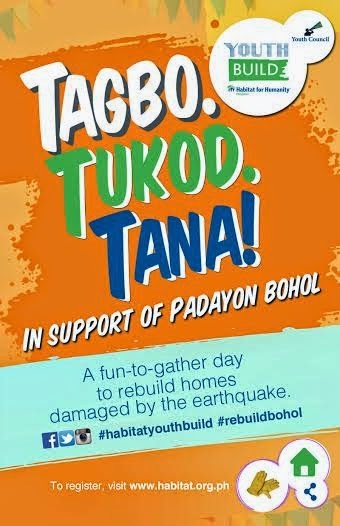 Other local festivities to kick-off the “Youth Build” will also happen in Cebu, Davao, Cagayan de Oro, and Naga. The Habitat Youth Build is a movement that engages young people to raise funds for, and awareness of the poverty housing situation in the Asia-Pacific region where one in eight people live in slums, according to the United Nations. Now on its third year, the annual campaign challenges the youth to do something concrete to help. Young people from 11 other Habitat countries across the region will also participate and build or repair homes for low-income families. Habitat for Humanity Philippines is a global non-profit organization committed to addressing the housing backlog in the country. To know more about Habitat and its programs, log on to www.habitat.org.ph. Jack Purcell Jeffrey Stripe Slip - My Wish List. How can we be a Life Charger? Batman 75th Anniversary short video. Summer extraordinary flavors from Starbucks! Bose Soundlink Mini - Amazing Bluetooth Speakers.